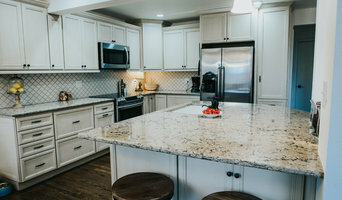 Stewart Remodel-Design-Build is a locally owned professional Remodel / Design / Build firm serving the Front Range since 1999. We design, plan, install, and manage everything, giving you the advantage of working with one trusted contractor to complete an entire project. Send us a message in HOUZZ, call us, or visit our website to learn more! We've been in business since 2007 and have enjoyed serving our customers through dependability and building lasting relationships. Our mission is to deliver an effortless home improvement experience. Beckony Kitchens and Baths has been "bringing to the home what is held in the heart" for nearly 19 years. Beckony is a full-service high-end kitchen, bath, and whole home remodeling firm in the Colorado Springs and Castle Rock, CO area. At Beckony, no two kitchens look alike. That's because we don't fit clients into a pre-made mold - your home should reflect you and your lifestyle, not a design formula. From start to finish, Beckony takes care of everything, from planning and ordering to delivery and installation. Cabinetry, countertops, flooring, paint, tile, plumbing, lighting, and hardware available. We don't just do kitchens and baths, either: we can help you build or remodel your great room, laundry room, closet, and more. We have NKBA certified designers as well as licensed and insured general contractors on staff to ensure beautiful and functional results through the entire design process. The best homes begin with the owner's hopes and dreams. Let Beckony Kitchens & Baths build your dream. Affordable Views, RJB Construction, Inc. is an Owner/Operator Company and has been providing home building, roofing contracting and home remodeling services in El Paso and Teller Counties since 1997. Stronghold Remodeling is your veteran owned and operated home remodeling contractor located in Colorado Springs, CO. We are licensed and insured. Our focus is to provide the highest quality of craftsmanship possible in and highest level of customer satisfaction. No matter how big or small your project is Stronghold Remodeling is here for you. DesignWorks Development is a full service Design and Construction company. We specialize in Custom Home Design as well as design and construction services for Renovations and Remodels. Gidget Webster is the founder and driving force behind Colorado Springs most innovative and dynamic interior design company. Gidget has been transforming people’s homes for 10 years and has grown her business primarily through word-of-mouth. Her clients have been thrilled with DesignCents because of the creative designs, attention to detail and most of all, the incredible results! Gidget uses her 13 years experience in Colorado Real Estate to improve the value of her clients most precious investment, their home. She works closely with her clients to understand their living-space needs, conceptualize the possibilities and bring those visions to life. She accomplishes this while also maximizing the client’s resources through innovative ideas and creative approaches. Come check out our new showroom at 5883 North Academy Blvd, Colorado Springs, CO 80918. Open 10:00am-4:00pm, Monday thru Friday, or by appointment! Alpine Contracting is a Colorado based company dedicated to providing quality craftsmanship and attention to detail throughout every project. The finished product we provide is one that you will be proud of and sure to enjoy for years to come. There are many facets of the home improvement industry we work within. Whether it's a whole house remodel, a basement finish or looking to update a kitchen or bath, we're here to help. Alpine Contracting is a proud and trusted member of the BBB with an A+ rating. Our dedication to being a premier Contractor is evident through our practices and we build on it every day. Improvement PROS is Colorado Springs premiere home improvement contractors. From full bathroom & kitchen Remodeling to a small scale upgrade we can bring your vision to fruition. Other services include: basement finishes, decks, porch covers, hardwood & tile flooring. We are BBB "A+" rated, Angie's List "A" rated company with 200+ reviews. Check us out. 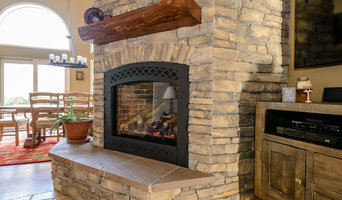 At Bullard Custom Tile & Remodeling we are focused on providing our personalized Home Remodeling Services with our team of licensed electricians, plumbers, carpenters & flooring installation specialists with the highest levels of customer service and satisfaction. 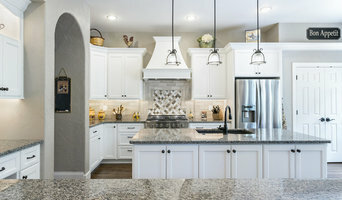 We offer services from Demo to 3-D Design Assistance, Installation and Sales of the following products; Tile- Porcelain, Ceramic and Natural Stone, Plank & Large Format, In Floor Heat, Custom Showers, Back splash & Deco, Custom Cabinets & Counter tops, Luxury Vinyl Planks, Engineered Hardwood, Laminate and Carpet. We also do Carpet Repairs and Re-Installation following water damage. With a variety of services and products to choose from, we're sure that you will be happy working with us! We are a small, owner operated, background checked, licensed & insured company with over 30 years of experience. We are well equipped to handle any kind of project, big or small. We stand behind our work and customer satisfaction is our # 1 goal! Contact us! We are looking forward to creating something special for you!